Wendy Johnson wants to know whether we should walk before we can run when it comes to new plans for a digital NHS. Health and social care secretary Jeremy Hunt gave a speech to an NHS conference where he talked through plans to bring the NHS into the digital age. Under the proposals patients will be able to view their medical records 24/7, book a GP appointment and order a repeat prescription on their phone, or online by the end of June 2018. As great swathes of the NHS are still faxing and using stone-age computer systems surely the date is a typo and missing a ‘0’. There is no doubt that technology has the potential to be a key enabler in transforming the delivery of health and social care and, if the pundits are to be believed, will go some way to meet service demands while increasing efficiency and productivity alongside reducing costs. The key question is, as electronic and mobile-based interaction gradually replaces face to face discussion, how will this service innovation ensure inclusion and equal access to services? 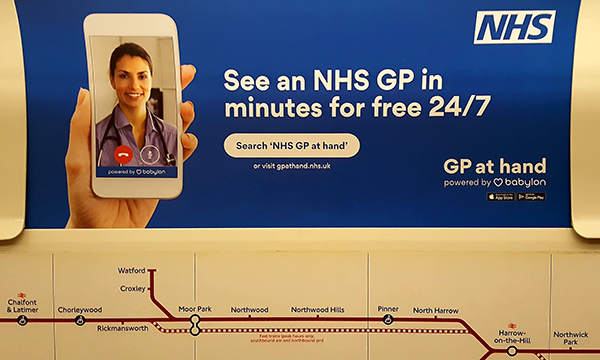 You can even replace your GP with an app in London. It is known as Babylon and will give you all the experience of being in the GP surgery without the benefit of the sticky waiting room seats, or an examination presumably. Ironically the service is being lauded as being more person-centered than the traditional model which is surprising given the challenge of creating health services that won’t have the benefit of human touch. Like me you may be concerned about the impact of this technology on your service users, just as I am with my daughter Rachael. She struggles to use the phone independently and has limited computer ability. The key question is then, as electronic and mobile-based interaction gradually replaces face to face discussion, how will this service innovation ensure inclusion and equal access to services? I urge you to use your positions of influence to raise this at every opportunity – and with a real person – while you still can.